Oftentimes when clients share their stories, we hear about places of darkness and isolation; they feel like no one understands them. 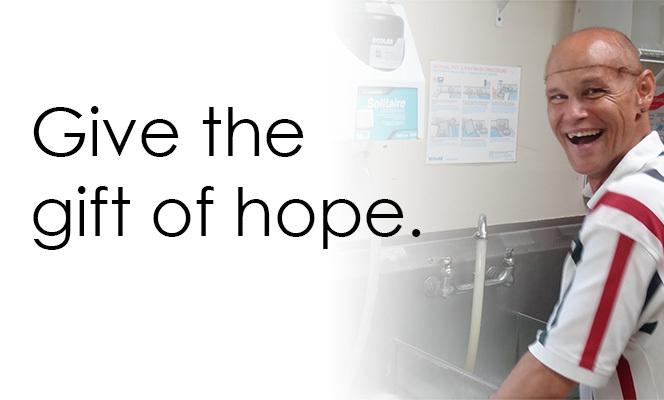 Once connected to Peace River Center's compassionate staff and empowering programs, their lives begin to improve. They share their recovery journeys with others and gain strengths, skills, and most importantly, hope along the way. With your generous support, we can make more stories of hope possible. Every gift regardless of size helps to engage, restore, and empower the individuals Peace River Centers through our mental health, substance use disorder services, and victim services programs. Thank you for giving them hope.